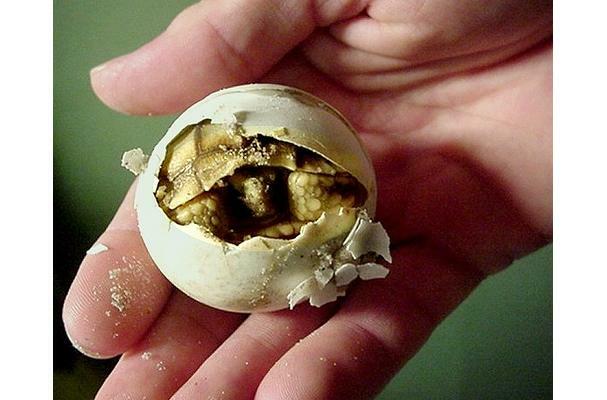 The egg of a turtle. They are round eggs, served soft-boiled. They are eaten by peeling back the shell a little and sucking the liquid white out and then eating the congealed yolk. It is considered a delicacy and victim to common poaching (illegal harvesting, not cooking technique).